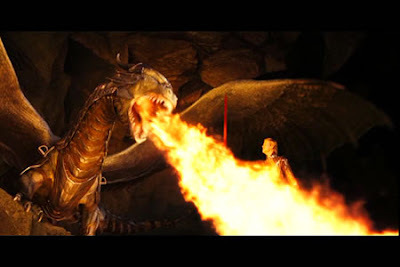 Eragon is a fantasy/adventure movie based on the novel of the same name by author Christopher Paolini. It was released on December 13, 2006 in Indonesia. Today, ive watch the movie (yes, its not "that" new movie, but hell care i wanna look over) , ive heard about this novel earlier as some of my friends mention it to me. During the watching time, i found that this is a boring movie in the first half of the movie(some of my friends told me before i watch the movie, they said that the movie was out of expectancy). Altough i agree that "saphira" was a great creation, I would rate it at 6 from 1-10 scale. Yup you are right.If you has reading the novel then you watch the movie and u get the movie was not match with your imaginary then u will feel bored.